This is the week of TeSawweh (that’s Tetzaveh for the un-initiated in ancient Hebrew pronunciation) – the Torah portion about sacred clothing, the clothing that would distinguish the Kohen-priests, particularly the High Priest, in their sacred duties. It is also the week I was interviewed by Tamar Yonah (a true honor) about the dubious origins and halakhic problems (according to Torah law) with the relatively late, European custom of dressing up in costume for Purim. How fitting it is for me, then, to teach about one of the more poorly-known aspects of Torah: the importance of a distinct, Jewish dress. After the doings of the land of Egypt, where you dwelled, you shall not do; and after the doings of the land of Canaan, to where I am bringing you, you shall not do; neither shall you walk in their statutes. In the miSwath lo-tha`aseh (Torah Prohibition) #30 in Sepher ha-miSwoth, we learn that the prohibition against copying the statutes of the gentiles not only pertains to their present customs, but those of their ancestors as well. Now it is possible that RaMBaM changed his opinion since his youth, when he wrote sefer ha-miSwoth, deliberately leaving this detail out of Mishneh Torah. This way the Hamburg-hatted, frock-coated Hassidim and Lithuanian-style Jews could claim that today they have a distinct Jewish look — certainly now that the Christian clergy have moved on to new modes of dress. What I believe the nations understand subconsciously, somewhere deep in their souls, is something that pains them greatly: This is not the look (and in many cases not the behavior) of the “kingdom of priests” Israel is supposed to be for us. Barukh HaShem (thank God), I see numerous signs of positive change underway. How, then, are Jews to ideally dress? Believe it or not, the traditions of our unique dress have not all disappeared. We can still learn them from the Jews of the Orient, very few of whom maintain them to this day. From my own great-great-great grandfather HaRav Yehudah Ha-Levi from Dubrovnik, Serbia, to the senior Hakhamim of Baghdad (below ) to the Torah teachers of Yemen: formal-wear for Jewish men varied little. Among our warriors, the style differed. Below is a photograph of YaHia Habbani of blessed memory, close family to Ya`aqov Mosha (Awad bin Brihim), father of the esteemed Aluf Abir, Mori Yehoshua Sofer shlit”a. The late uncle is dressed in classical Habbani style, which goes back millennia. Now before you run for your nearest tailor and wager how quickly you are likely to lose your job, your friends, or worse; what is the practical halakhah (Jewish law)? Today, modern dress is standardized all over the world into a basic, universal “human dress”. In our day, most modes of dress that are uniquely gentile, are also outlandish enough to be a Purim costume. Besides that, although we maintained a distinct style, the truth is that Jews though the ages wore what was comfortable to them in their surroundings. My understanding is, according to my training, that for men – on a basic level – so long as one’s clothes are sufficiently modest, the kippah on our head and fringes at our sides give us a clearly unique and distinct look, and satisfy the basic halakhah (practical Jewish law). However, to my humble understanding (with no disrespect intended towards those who disagree), there may be two common exceptions to this for men: the 3-piece suit and tight pants — particularly tight jeans. Unlike casual suits, the 3-piece suit is a traditional garment also known as the “Sunday’s best.” Reaching its present form in the last century, it appears to have been — in its original cultural ambient — a special garment set aside by the common gentile for weekly, Sunday idol worship. As for tight pants or jeans, unless they are way oversized so that they sag like the ‘gangbanger’ look (which itself may constitute a distinctly gentile style), this is specifically mentioned in Talmud as prohibited to Jewish men. To my reading, RaMBaM had no need to mention this – would it not be included in the general prohibition of imitating gentile customs?! As for myself, I am personally unsatisfied with the universal “human dress” code; my soul yearns for more. It doesn’t sit well with me that for over 3,000 years our fathers, our great rabbis, prophets and warriors had distinct Jewish dress styles and haircuts that we can comfortably toss aside in favor of the styles of yuppie-ville and the American mall. In a modern Israel where Buddhist monks, nuns, and Ethiopic Christian priests roam freely in their traditional garbs, must I, a Jew, feel confined to styles out of GQ magazine, that are technically permitted? Physical space exists only in the physical world. In the spiritual domain, there is no concept of space as we know it. But still we speak of things being close or far apart in the spiritual world. What does this mean? We cannot be speaking of physical distance, for there is no physical space in the spiritual realm. But in a spiritual sense, closeness involves resemblance. Two things that resemble each other are spiritually close. On the other hand, two things that differ are far apart in a spiritual sense. 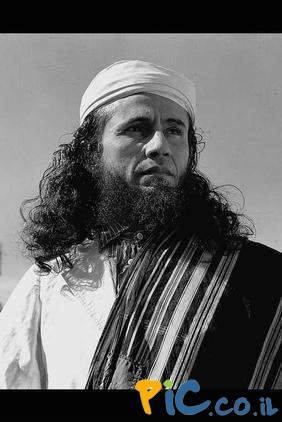 It follows that if we desire to be spiritually close and similar to the greatest men of all time, Avraham our forefather, Mosha Rabbenu, Dawidh ha-mmelekh, Rabi `Aqivah and so on, we should resemble them as much as possible. That is, of course, first and foremost in our deeds: how we relate to others, how we pray, how we learn and practice Torah, how we fight. But it is so difficult in a mundane world where we are so categorized, labeled and limited by those around us. Yet, as I explained above, we create our image – the way we are perceived – and invite those labels, to a degree, by the way we dress and cut our hair. The foremost reason why, in the Haredi world, Jews wear black hats and suits, is the foremost reason I try to dress more Hebrew: They know how much clothes make the man of God. When passing by a thumping disco alone, a young teen wearing a black hat and suit will feel and react differently than a young man in jeans with a half-dollar sized kippah on his head. Dressing more Israelite can have the same effect. The difference is that the black galuth (diaspora) garb subliminally gives him the feeling of a European arrival from 60 years ago, an exiled man in his own land. Carefully ironed, restricting clothes meant for air-conditioned rooms and paved sidewalks give us a different sense of what is natural and what is foreign. Moreover, as I discussed above, any dress besides our ancestral one fits a certain negative stereotype in the eyes of the nations, to whom we are to be “a kingdom of priests.” Whether it is as small a step as wearing a large `talith while relaxing and working at home, wrapping one’s head for prayer for Morning Prayers when one is alone, or making a bigger change such as growing one’s beard and side-locks, I highly recommend it. Should you choose to put on tephillin (phylacteries) even for a short while outside of prayer to learn some Torah, you are actually fulfilling the Torah commandment to strive to be in tephillin throughout the day. If you are living outside of Israel, just wearing a large kippah to distinguish yourself as a Jew can be an awesome step. May the day come soon when kohen-priests will daily don their priestly garments in a rebuilt Beth ha-miqdash (Holy Temple) and Yisra’el (the rest of the nation) will don ours for all the wonderful activities there are for us to do in our ancestral heritage. In the meantime, let’s increase our awareness of the Godly type of people our traditional clothing can help us aspire to become. Photograph from “The Sassoon’s Return Visit to Baghdad: A Diary by Mozelle Sassoon” published in The Scribe: Journal of Babylonian Jewry ISSN 14 74 – 0230, Issue 74 – Autumn 2001, www.thescribe.uk.com. Posted at http://www.dangoor.com/TheScribe_74a.pdf. Special thanks to the Aluf Abir Mori Yehoshua` Sofer shlit”a for the ethnographic data and photograph. This entry was posted on Tuesday, February 23rd, 2010 at 7:29 pm	and is filed under Authentic Halakhah (law) & Minhagh (custom), Mussar (Ethical Life Teachings), Torath haGe'ulah (Torah of the Redemption). You can follow any responses to this entry through the RSS 2.0 feed. You can leave a response, or trackback from your own site. I have several questions that I hope you will have time to answer. I love this site! I have been here so many times to read all the great articles. My first question concerns an interview with Tamar Yonah during Purim.– I am pretty sure that it was you! Anyway, I really felt the same about what you said about the activities during Purim. Thanks for presenting this TRUTH to the listeners.I had for so long felt that the activities during Purim was sorta like the New Orleans activities w/o the ungodliness. To this article about the clothing for Jewish men, what about Jewish women? I am concerned that the women are a bit far from what we should be wearing. Any help for me on this issue?Also, I have heard so many rabbi’s talk about going to gravesites of other rabbis to pray. Doesn’t the Torah teach us to stay away from this sort of thing? I do sincerely hope that my questions don’t disturb you. I sincerely, with all my heart and soul want holiness. I want to “walk” w/ my G’d.I would love to hear any answers that you can give me. Also, where can I get more info on any of these subjects? And I love the Abir warrior arts. My wife and I very much enjoyed your visit to our small community here in Albuquerque New Mexico recently. I am also enjoying your web site. I have recently begun to bow and prostrate during my personal prayers and have really begun to read the Mishne Torah. We like your article on Jewish clothing and are wondering how to get a hold of authentic Jewish clothing? We thank you for your teaching and are looking forward to visiting you in Israel next year. You questions not only don’t bother me; they are excellent. Rather than you, it is I who must apologize. I am so sorry for the length of time it’s taken to get back to you. The site was down for a while after being attacked and infected with malware, and we only now succeeded in getting back up. Regarding women’s clothing, many women in Israel –particularly the hilltop-types, and Breslover Hassidic women– tend to dress closer to the biblical ideal than other groups. Long skirts, large shawl-wraps (they can be colorful, often coming with fringes), and a double scarf (ideally two) for the head, are available in Israel, and probably abroad if you do an exhaustive and creative search. You sound to me like a woman such as those in whose merit we were redeemed from Egypt. May you indeed be inscribed in the Book of Life, and this year see the sprouting of our Redemption. I was not aware that costumes on Purim is a recent thing. I have read that asides from wearing costumes, wearing Shabbat clothing to Megillah readings is desirable, if not traditionally what should be done. 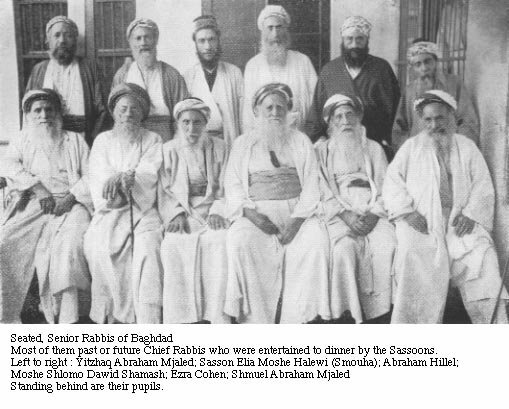 Its interesting to see, that the Khakhamim in Bagdad (Bavel) still dress in white as is stated in the Gemara ( I believe Kiddushin 72 a 0r b). I also use that source to discourage people from dressing in black, the idea should be simple to grasp once someone sees the Gemara. I think what you say Mori about the nations being offended by jews not dressing jewishly, is even a more stronger issue with non-observant jews. Every jew has a minds eye view of the jew of the Tanakh, and when they see black ashkenzi garb, they knopw something is way off, and are deeply turned off. The jews of europe wore black for two reasons Ive read of. Goyishe and religious leaders in europe decreed the jews should wear black in order to disgrace them and put them in their places. Additionally, at some times the Sages themselves told the jews to wear black, since their clothing was so fancy and ostentatious it was invoking jealousy and hatred ammoungst the goyim. I dont see any reason for jews to continue adhereing to these decrees in Erets Yisrael. And there are reasons why they should stop. It is a high wall that turns off many many jews that would otherwise draw close. I was wondering if it would possible to further elaborate and build upon on the idea of the Jewish people returning to donning a more Israelite form of clothing, whlist making use of practical advances without compromises (such as trainers and army clothing). I am aware that the Temple Institue is already selling Priestly garments, but has someone actually attempted to create or commission a modern non-western reinterpretation of ancient Hebrew clothing for both men and women? from whence does the custom of simanim stem. this custom seems to preponder only among certain yemenite jews (habbanis wear all their hair long). i see no ancient sources for this. can you please enlighten me on that? thanks. Sir,You wrote above something that has occupied my mind a long time, and I thought I was the only one thinking of it. I am most gratefull sir that You brought up this subject, at last some one did. And I think the old dresscode should at least be, as a first step, for all of us at festivals held in Eretz Yisrael, and why not include the IDF at special State Cermonies with fitting warrior style of the past! Amen to that, David. Thanks for the valuable input! You have my profound respect for all that is on this web site. As a practising Roman Catholic (Traditional Latin) I applaud your standards and share them. I wish you well for your on-going work. God bless. Thank you, Bill. May HaShem guide us all — Jews and non-Jews– in truth, justice and peace. L’chvod Harav! Thank you for this interesting article. I generally agree with you (for what it is s worth) about the value of returning to the more authentic Jewish mode of dress. I hate the black galut garb, quite frankly. However, I have some issue with your “what will the Arabs say” argument. Well, my mother is Ashkenazi and my father is (non-Jewish) Russian. The result is, that I look as European as they come. Blue eyes and light brown hair. I guess you could easily say I look foreign to the Land. A huge percentage of Ashkenazi Jews look like that, they would have looked European(and really odd) even if they all wore turbans and all that. I’m sure “the Arabs pick on [Ashkenazi looks and] say, “See? These Jews came and stole our land. They don’t belong here – go back to Europe!]. Should we feel bad about it? Should I perhaps dye my hair black to convince the Arabs that I belong in the Land? My point is- looks dont make a Jew. Who cares what the Arabs think in this regard. Thank you for your interest in my article. Being that we are a diverse faith community, ingathered from ethnic groups of Jews separated from one another by many centuries, it is a given that we look different. Nonetheless, I recommend the dress of ethnic Middle Eastern Jewry to Jews of all backgrounds. Just as a Yemenite Jew visiting Russia would do well to wear a warm streimel and long, thick coat, it is only natural for Jews of European ethnic background in Israel to dress according to the climate and ethnic Jewish customs of this region. And yes, that sends the subtle message to the world –not just the Arabs– that we identify with our ancient Hebrew roots in this Land, and are picking up from where our exiled ancestors left off. It is a subtle statement that we view our right to this land not to be based merely on the decisions of the U.N., but on our being her indigenous sons and daughters who have returned to reclaim that which was given to us by HaShem as an everlasting heritage. According to the example you gave, a turban can be an excellent place to start — especially for tefillah. I Very much enjoyed your article. Other than the BegedIvri site go you know where one might obtain traditional Yisraelite clothing? A site that post archieved historical photos of Jerusalem, Israel and the holyland daily. The past two days featured a Yemeni sewing shop. Amyone can subscribe o this service. Shalom!I was excited to see that the website was back up. I emailed in 2010 w/o a response and decided the site was down. I had only come back in to read any new articles. You did actually answer the email several months later, but I just got back to this section a few days ago. I have tried several times to get into the interview about the chickens, gods etc. For some reason(timing I’m sure!) I just can get it open. I think that would have been more of my questions for you. Thanks so much for your kind response. Be so blessed in all that you’re doing. As a Sephardic Mizrahi Jew I have taught and stated much of what you have said here. I always wondered why do Jews paint themselves in such an array for Purim which hasn’t anything to do with the requirements at all. Also I wish you added to this that very same premise has occurred at Hanukkah. The gift giving is a rather new pagan occurrence from the Europeans- Ashkenazim. We do not follow such Bituz Zman, Balagan.